Even though Sony is prone on skipping this year’s E3 event, it’s set to talk up its PlayStation game a different way. And that’s with a tour featuring some of the company’s top games. 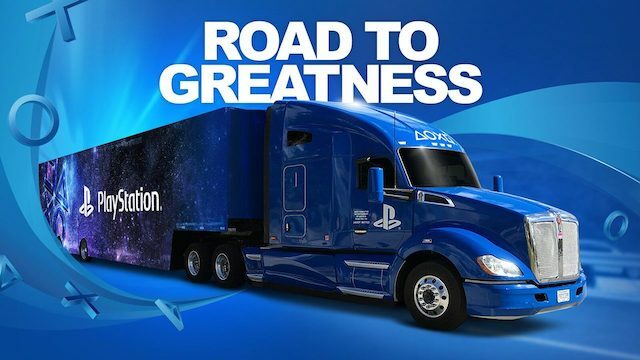 In a new PlayStation Blog post, the publisher announced the return of its Road To Greatness tour. It’s set to kick off in just a few days, bringing various PlayStation hits to the masses. It’s set to feature a number of hit titles for the platform. These include the upcoming Days Gone, the just-released MLB The Show 19, indie titles like Trover, and several others. A list of the available games will continue to be updated over on the official page. In addition, there should be some cool giveaways, including select swag and other items, so attendees can take home a little something after playing through some of their favorites. Here’s the tour schedule as it currently stands. There’s always a possibility that more stops may join the schedule. With the tour, Sony looks to take part with big sporting events and expos. That said, some casual stops like Six Flags Fright Fest are also on the docket. To learn more about the touring event, check out the official page. Will you be checking out PlayStation‘s Road To Greatness?